Copyright (c) 2014, Cooper Hewitt Smithsonian Design Museum (cooperhewitt.org), with Reserved Font Name Cooper Hewitt. 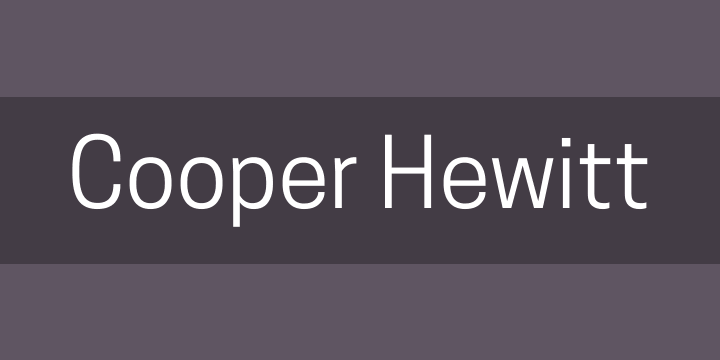 Cooper Hewitt, is a contemporary sans serif, with characters composed of modified-geometric curves and arches. Initially commissioned by Pentagram to evolve his Polaris Condensed typeface, Chester Jenkins created a new digital form to support the newly transformed museum.